Dispatching is the major operation of transport companies. To avoid all operational ambiguities, one intelligent distribution solution will meet the many challenges of the transportation industry: JFleet dispatching software. 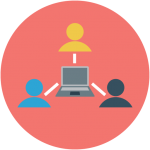 JFleet allows you to manage orders, dispatching, loading, routing, employees, equipment maintenance, as well as payroll and billing. This integrated solution follows you every step of the way to make sure everything runs as smoothly as possible. Which orders should be assigned to which trailers? To which trucks should you secure those trailers and which will be inspected? To which driver will you assign that route? How will you route this order to ensure a minimum of time and mileage? 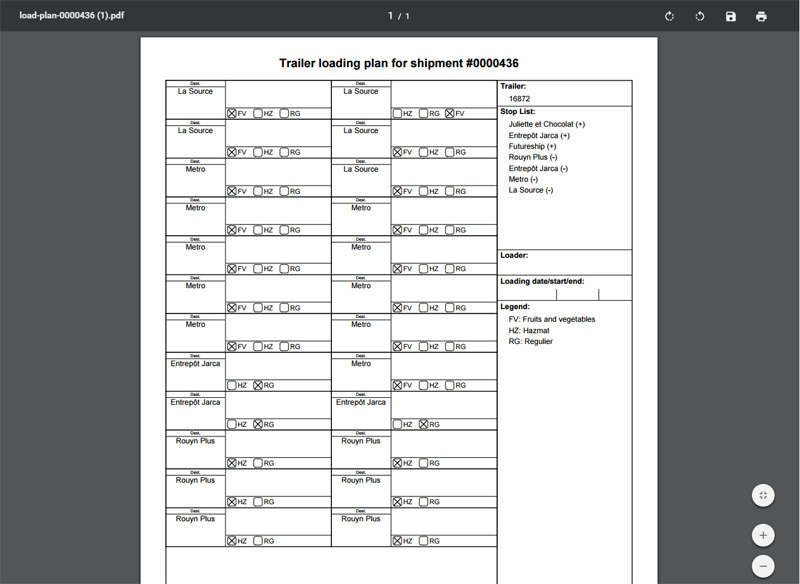 These questions generate instantaneous answers on the JFleet dispatching software platform. Today’s customer is increasingly demanding about the way orders are delivered. In this context, dispatching needs to be optimized to ensure the overall profitability of operations. The JFleet features guide dispatchers through their tasks to limit spending on routing while improving the customer’s experience. Among the various types of road transportation and the challenges associated with them, JFleet has expertise and features for all dispatch models and processes. Its main asset is called “intelligent distribution:” a system that does not allow actions that are illogical or that do not follow dispatching rules. This eliminates potential errors and facilitates the automation of billing and payroll. Bad dispatching decisions can frequently lead to confusion. For example, assigning two containers to a trailer that can accommodate only one, using equipment that should have been inspected, conferring a delivery to a driver whose license has expired, and so on. JFleet therefore displays all the facts before proposing to carry out an operation. You will be able to prevent and eliminate slowdowns or having to manually perform corrective actions to complete a transaction. 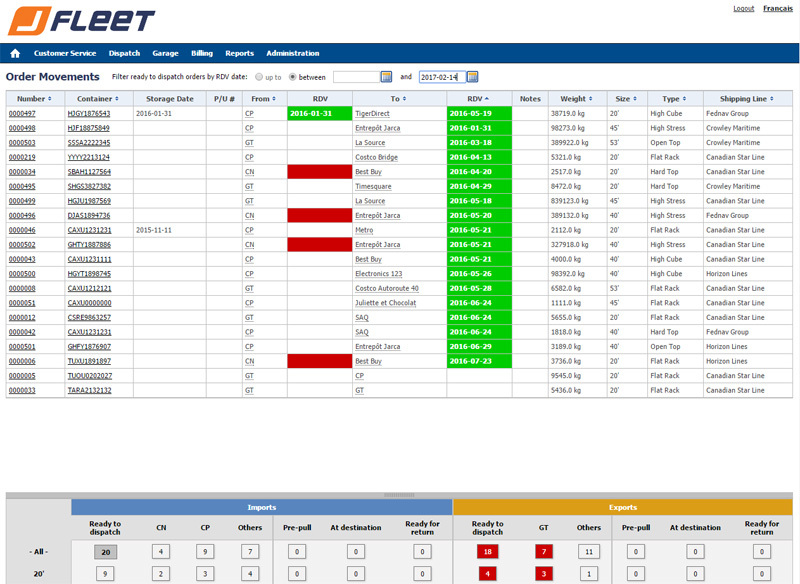 In addition, JFleet allows you to see the geographical positions of your drivers. It also identifies those drivers who are available for an assignment, those who will soon be ready for their next task, and those who have completed their last task. In that way, the dispatcher has an overview on the orders to pick up, those ready for delivery, the delivery locations, the road routes, and those rendezvous not to be missed. 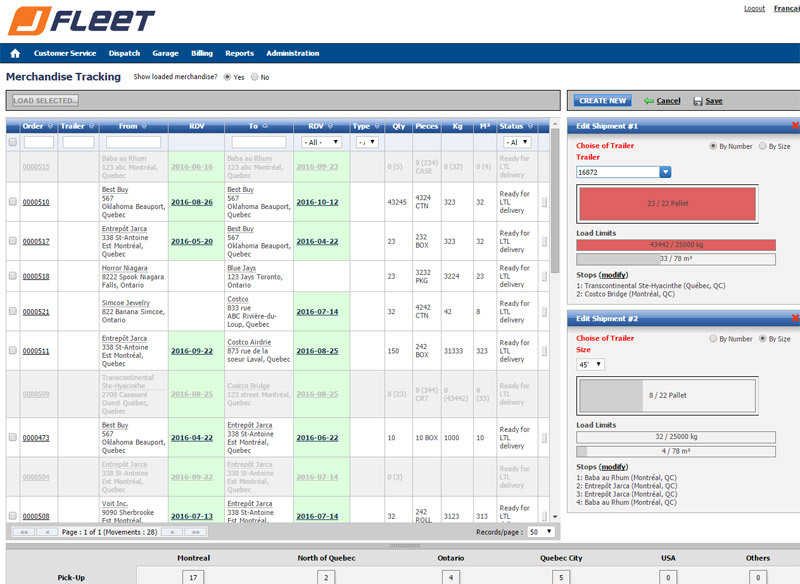 JFleet is the tool that allows you to take logical and reliable actions in keeping with your priorities. Each dispatch operation has automatic, instant, and intelligent notifications and updates.